Mesha Maren is the author of the new novel Sugar Run. Her work has appeared in a variety of publications, including Tin House and the Oxford American. 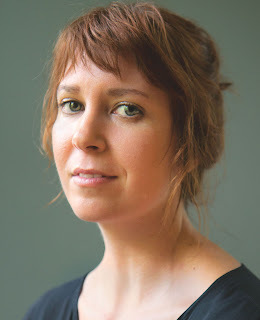 She is the 2018-2019 Kenan Visiting Writer at the University of North Carolina. Q: How did you come up with the idea for Sugar Run, and for your character Jodi? A: Sugar Run came to me as Jodi--like she showed up in my mind and started talking to me, I don’t know where she came from, there is no particular person that I modeled her off of, she just showed up and I became smitten. I started writing down little scenes, bits of things, most of it came to me as sharp images at first: a curtain blowing in the wind, a plastic cup of whiskey with melting ice, the smell of lemon cleaning product, the way your skin feels when you slide below the surface of the swimming pool after lying in the sun for a long while. I spent years just gathering these snippets and then following the snippets until a plot began to appear, but at first it was Jodi--her voice and perspective--and images, lots and lots of images. It was like I had to widen the lens, I would start with this tight perspective on a chandelier and then ask myself, “Where is this? What is happening?” and the scene would slowly appear. Q: The novel is set in various places, but mostly in West Virginia. How important is setting to you in your writing? A: Setting is everything in my writing. I think West Virginia is as much a character in my novel as Jodi is. When I was writing the first 3/4 of the novel I was living in Iowa City and missing West Virginia real bad so I wrote a lot of scenes in order to transport myself back there to that lush southern West Virginia summer that I was craving. Then I moved back to West Virginia and finished the book there while I was dealing with the realities of actually living in the mountains again. West Virginia has always been a place of contrasts and I think that’s what makes it so great to write about. One of the earliest white settlers who crossed the ridges into what is now West Virginia wrote, “It was a pleasing tho’ dreadful sight to see mountains and hills as if piled one upon another” and that pretty much sums it up still to this day. A: The title refers to a poker term that I made up. 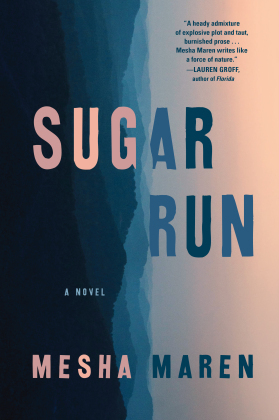 In the novel, Paula calls a string of good poker hands a “sugar run”--a stretch of incredible luck before a crash--and Jodi relates it also to what she calls a “run,” which is a creek that only appears after a hard rain and then eventually dries up. Q: You tell the story in alternating sections between two time periods. Did you write the chapters in the order in which they appear, or did you focus more on one timeline before turning to the other? A: The 1988-89 sections definitely came to me first and they came to me in a very cinematic way. As I revised I played around with where to place those sections and finally decided I liked it best when they are scattered throughout. A: I’m working on a new novel about Mexican professional wrestling, identity and heritage. It’s set on the U.S.- Mexico border and it’s about a gay romance, a kidnapping and lucha libre. It’s been real fun to write.